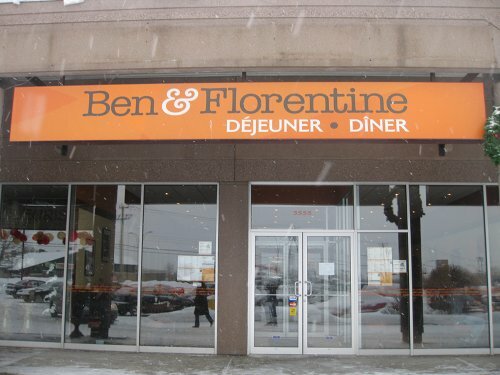 When you walk into Ben and Florentines you notice a nice wide-open concept with ample seating as well as and wheelchair access. There is an abundance of staff and you can kind of see into the cooking area with a somewhat open concept. There are pictures of various dishes lining the walls. You can see that the various plates coming out of the kitchen are done to focus on aesthetics and this helps to make for really nice looking dishes with attention to detail with small additions like topping them with flowers.
. There are also some early bird specials (before 8:30 Am) from $4.25- $6.25. I did have an issue with some of the dishes being a touch pricey; I mean there were some well priced options but some of the more expensive stuff doesn’t merit the price applied. For example, $13.95 for eggs Benedict is on the high end of downtown prices and you would not expect it from something in the outer areas of town. Although you can find some deals with plates being in the $5-$7 range which is pretty decent. So, I guess it requires you chose your option carefully if you are price conscious. 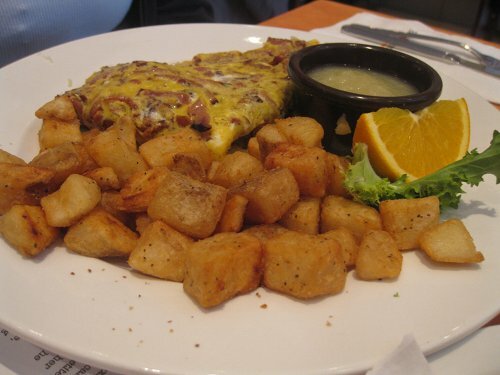 My other friend ordered the butchers choice omelette ($11.95), which is jammed with bacon, ham, sausage and cheddar. The dish came with a side of potatoes and complimentary coffee. The potatoes were quite tasty and nicely spiced. This has to be one of the meatiest omelettes I have ever tried because when I bit into, I could taste the meat whereas most other omelettes have the egg overpower the taste. If you are a meat eater and have always been curious as to what an omelette tastes like (because most big meat eater will not eat omelettes) then you should try this one out. I ended up ordering the sweet tooth French toast ($10.95). 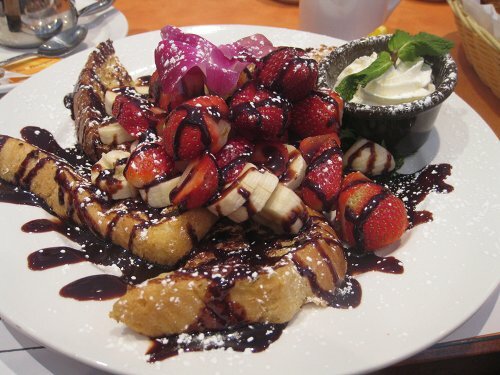 I received a really nice looking French toast topped with strawberries and drizzled with chocolate on three slices of French toast. The dish was topped with a flower and the presentation was very impressive not to mention the taste was quite good as well. It was rather filling and in fact, it was one of the few times I could not finish my plate because I was so full by the end of it (keep in mind that this almost never happens). Service was mediocre as it took some time for refills and my friend waited a while for her water she asked for and had to ask again since it seemed like our waiter forgot. The dishes did come quickly when ordered but there weren’t too many people at that time so my wait for coffee was extra annoying since I could see tons of staff and lots of empty tables (and me without my coffee). 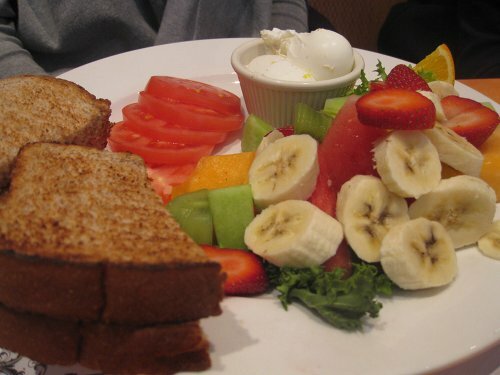 Vegetarian options are actually quite plentiful as there are some options for health menu items. However, there is a lack of vegan options but no surprise since few places ever have any. 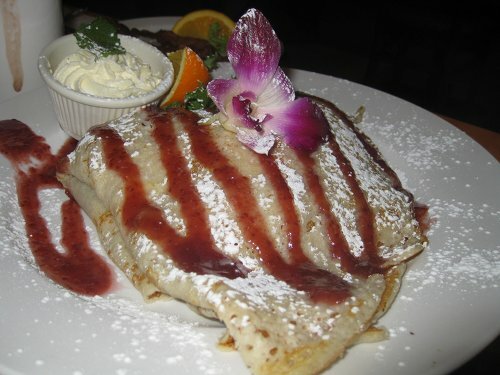 Overall the main highlights are good size portions, filling food, and tasty and well presented dishes. The negative would be that some items are unnecessarily pricey. It’s nice to see some new choice in the West Island and I hope that it shakes things up and makes other places look at their brunch options to get some tasty competition going on. I think it’s a great place to go with a group, and family the menu options are quite varied meaning there is something for everyone. We stopped going there because every time we went, we waited so long for our food, sometimes as much as 45 minutes for eggs and bacon! It’s always new staff and they don’t know what they’re doing! Horrible experience almost every time. We made a reservation this morning for six people for 10:45 with the manager. We arrived @ 10:45 with our elderly parents, one of them wheelchair bound to be told that the manager who took the reservation had left and there were no seats available. Absolutely unacceptable.